Create a voice amidst the social clutter. Social media means building relationships while building your business. It’s an opportunity to increase branding and exposure while engaging with loyal and potential customers alike. 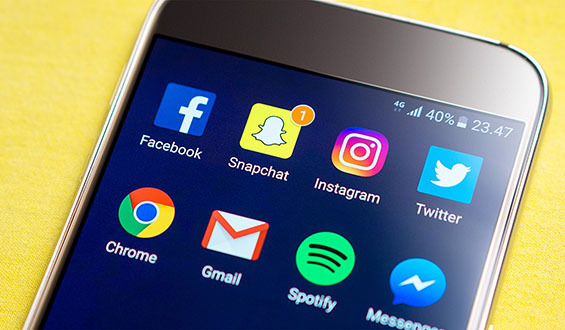 With over 1 billion users on Facebook and over 500 million on Twitter, having a strong social presence has become more important than ever to the vitality of a business. Adams Media Group will help develop an engaging, conversion-driven voice to cut through the social clutter while selecting the appropriate social networking sites to engage your target audience. With a well-crafted social strategy, you’ll discover unique opportunities for branding, engagement, and company culture. “Word of mouth” doesn’t just mean offline communication anymore. Your presence online is just as critical to potential customers as having a loyal following in your local area. Talk with a social media marketing specialist today! What makes Adams Media Group the Social Media experts? Your single social marketing solution. We don’t stop at social media. Social media is only one valuable piece in your online marketing toolkit. With Adams Media Group, we can unify your entire digital marketing efforts with a combination of social media marketing, website content creation, SEO, and digital advertising. One voice – multiple platforms. Ready to take your social media presence to the next level? Contact us to start the conversation about social media marketing.